When it comes to coal waste, RPM brings a deep wealth of mining, machining and screening experience. RPM Solutions uses proprietary equipment technology and refined operating skills to provide the best service possible. Waste coals are the low-energy-value discards of the coal mining industry. Coal waste is called “culm” in the eastern Pennsylvania anthracite coal region and “gob” or “boney” in the bituminous coal mining regions of western Pennsylvania, West Virginia, Kentucky and elsewhere. There are currently 18 coal waste burning power plants in the United States and 13 more that use it as a secondary fuel, with bituminous coal as their primary fuel. Over a dozen more coal waste burning power plants are proposed, mostly in Pennsylvania, West Virginia and Kentucky. According to the Department of Energy, coal waste is usable material that is a byproduct of previous coal processing operations. Coal waste is usually composed of mixed coal, soil and rock. Most coal waste is burned as is in unconventional fluidized-bed combustors. For some uses, coal waste may be partially cleaned by removing some extraneous non-combustible constituents. Before burning, coal is crushed and washed, creating waste water filled with toxins. 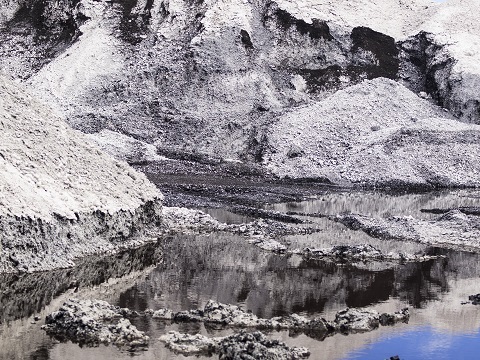 Another form of liquid coal waste is acidic mine runoff. Both forms of liquid coal waste are disposed of in a landfill at the mine site. Burning coal waste doesn’t make the waste go away. If 100 tons of coal waste are burned, 85 tons remain as waste coal ash. Since far more mercury and other contaminants enter a coal waste burner to produce a given amount of electricity, these high levels of contaminants have to come out somewhere. Coal waste burners have cleaner air emissions than antiquated coal plants due to their better pollution controls, but this means that the ash is far more toxic. The industry claims that 99.8% of the mercury in the fuel is captured and ends up in the ash. Coal waste has higher concentration of mercury than normal coal. Since more coal waste must be burned to produce the same amount of electricity as normal coal would, this means that over 6 times as much mercury must be fed into a coal waste burner to produce the same amount of energy as a traditional coal power plant. Energy companies can reclaim abandoned gob piles because the coal waste provides cheap fuel. For an energy company to make a profit, a gob pile needs to have relatively high energy and low sulfur contents. At RPM Solutions, our goal is to deliver superior coal process solutions for our clients, big or small, regardless of the location. We differentiate ourselves through our advanced skills and preparation. RPM Solutions’ commitment to detail is the most important component of our success. Our team has proven experience working with various regulators and power and utility clients to successfully address state and federal regulatory issues.